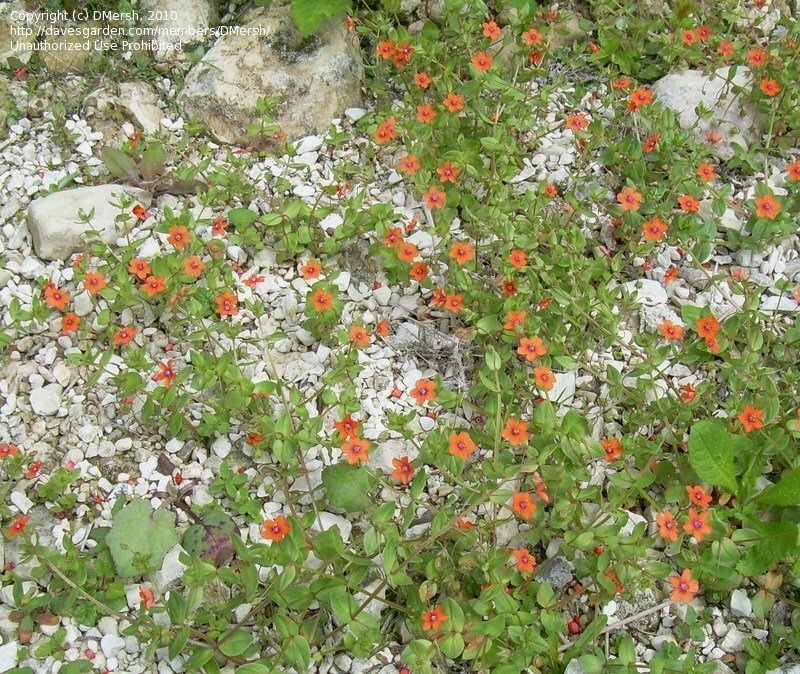 Fairly well distributed here, not especially invasive here. 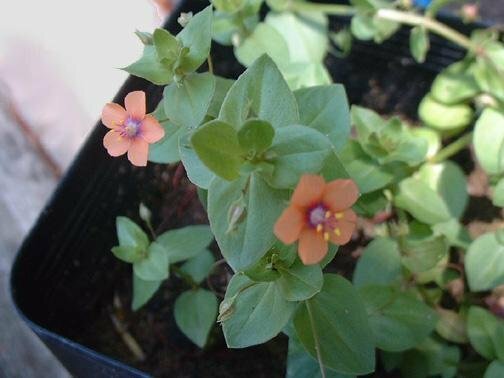 Blooms April till November middle of the day. 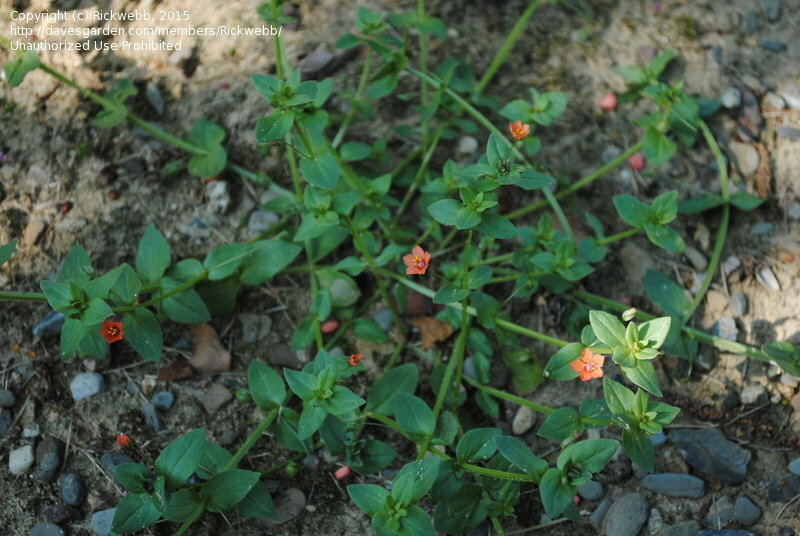 Beautiful little orange flowers. 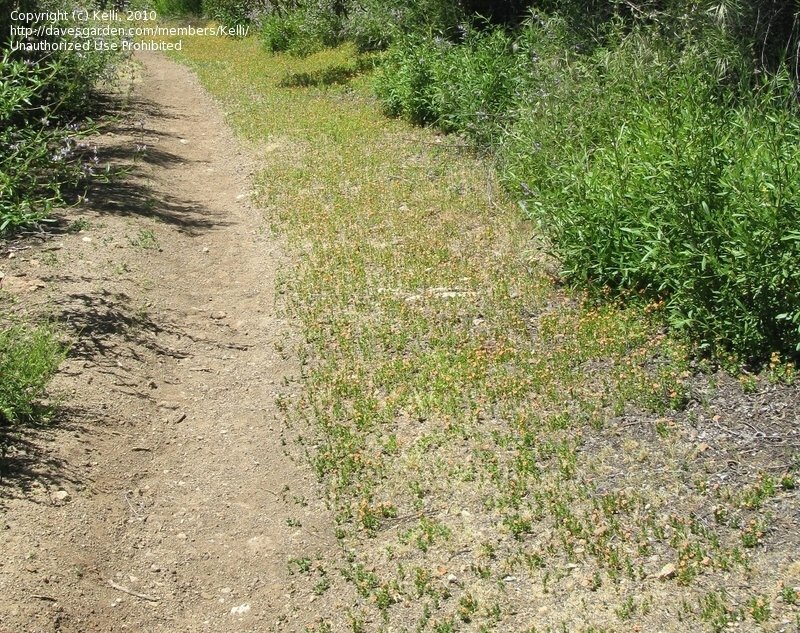 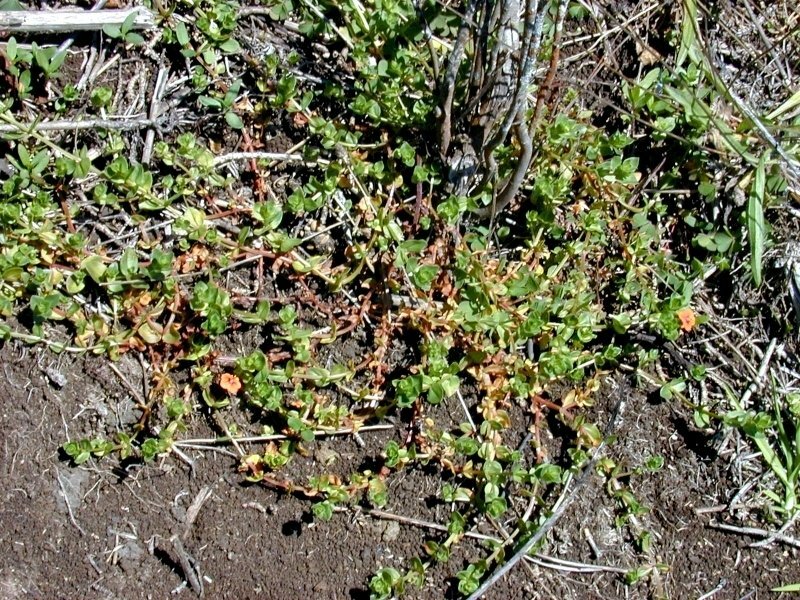 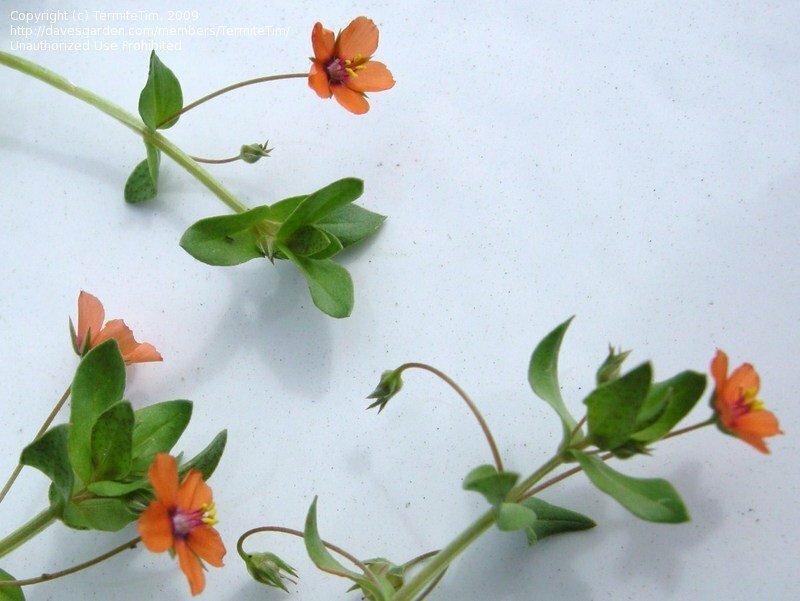 Grows close to the ground. 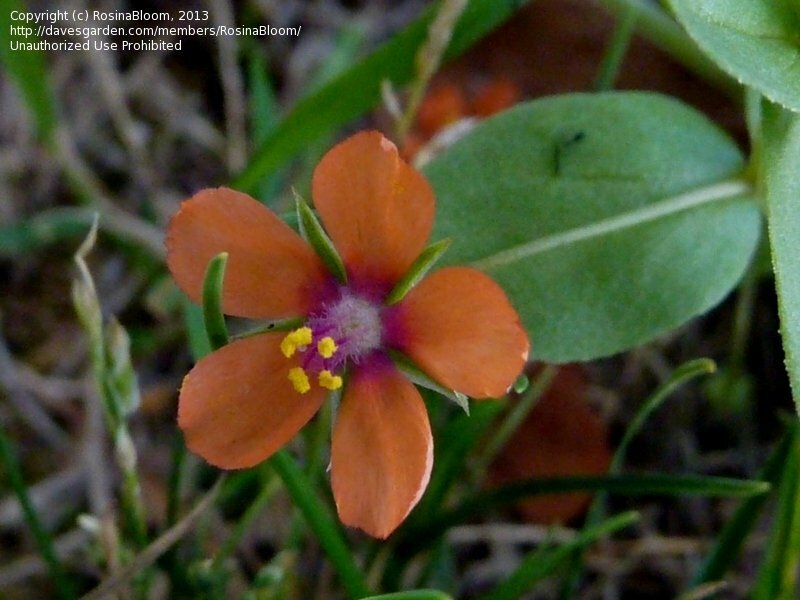 Scarlet Pimpernel, Pimpernel, Adders Eyes, Poor Man's Weather Glass (Anagallis arvensis) approximately 1/4 inch across blooms are worth viewing close up. 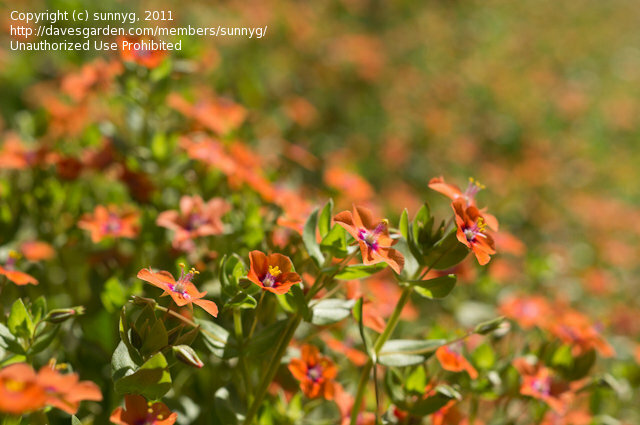 They are open fully only when the sun is shining. 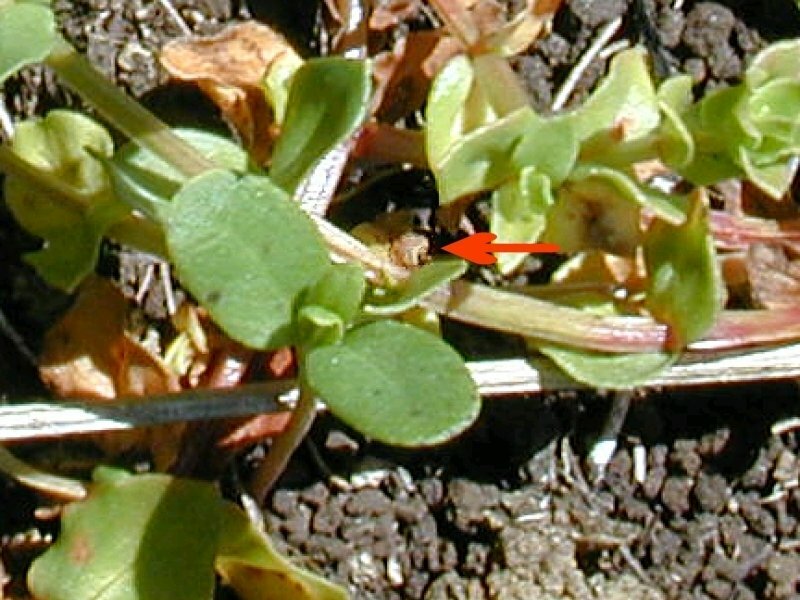 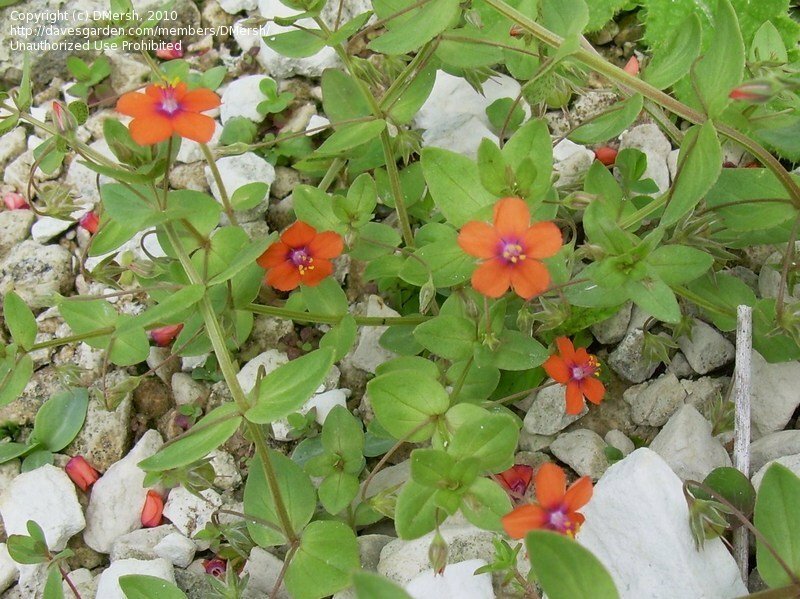 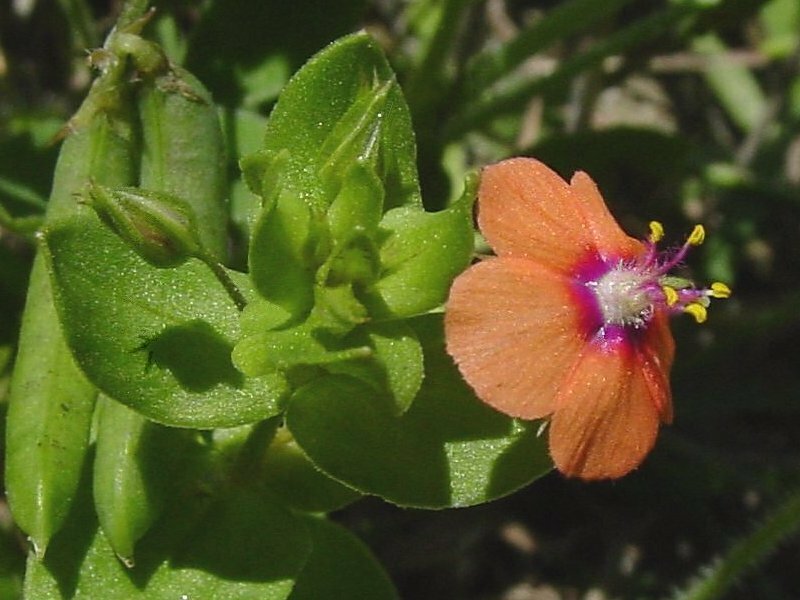 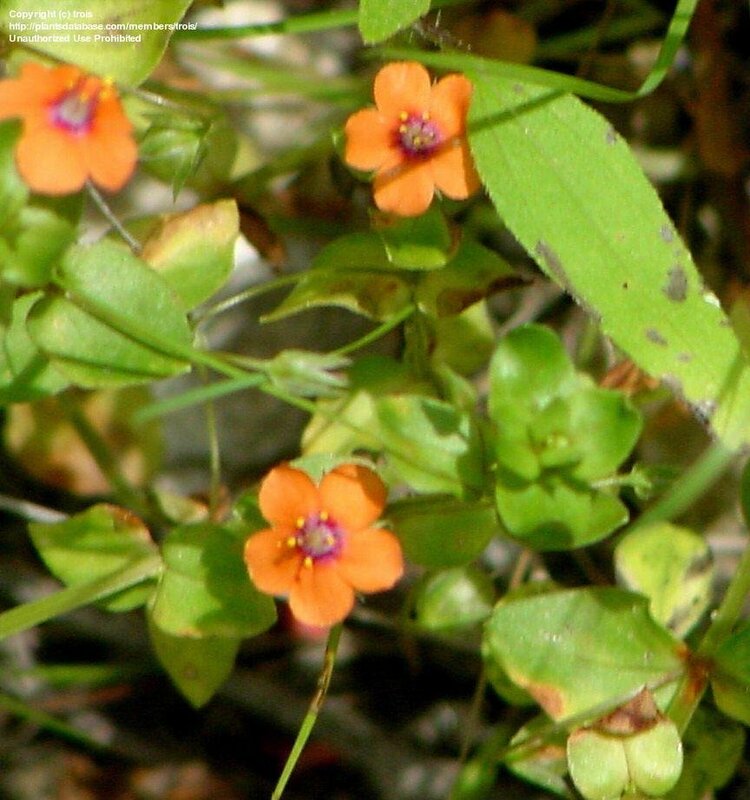 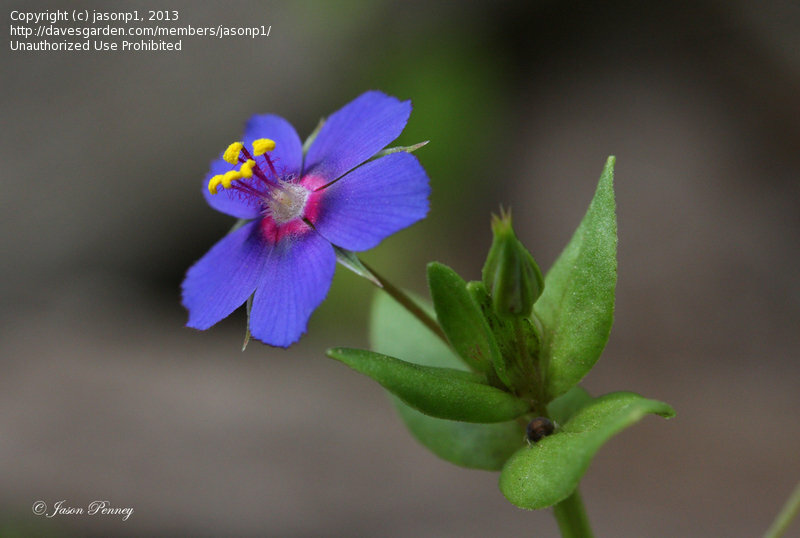 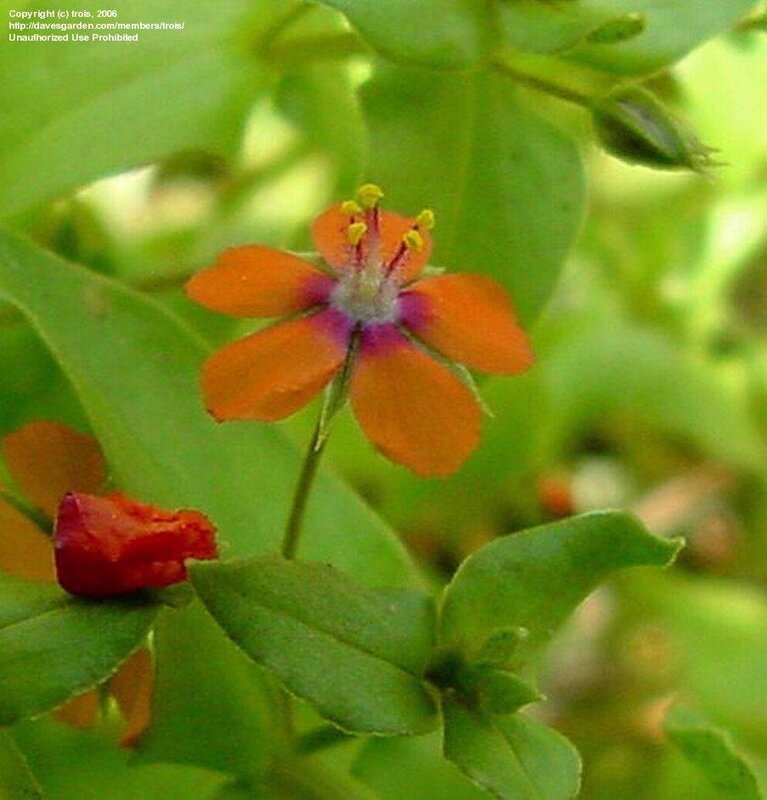 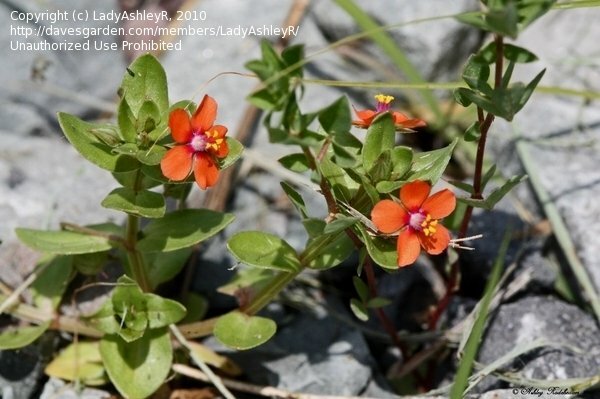 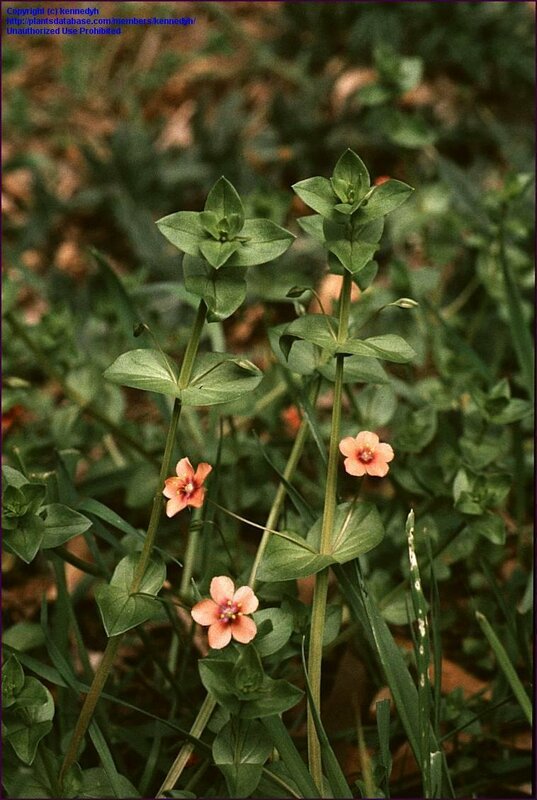 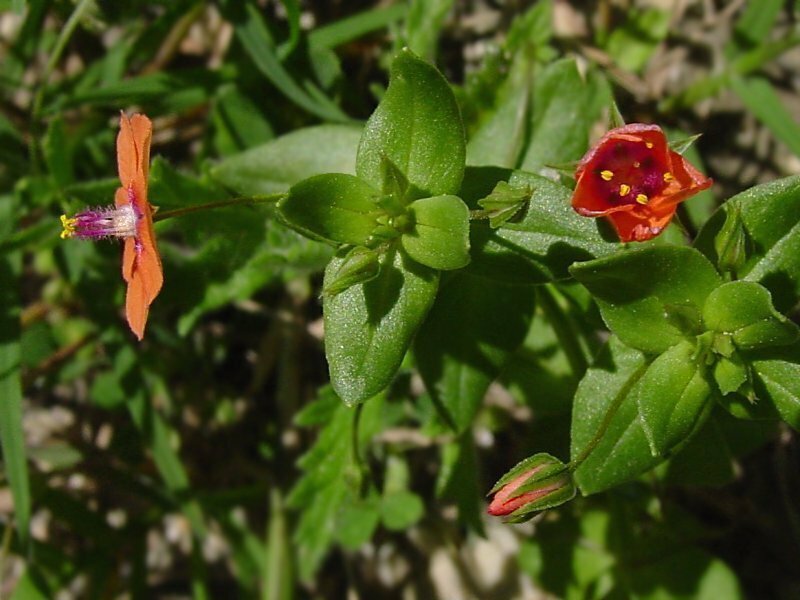 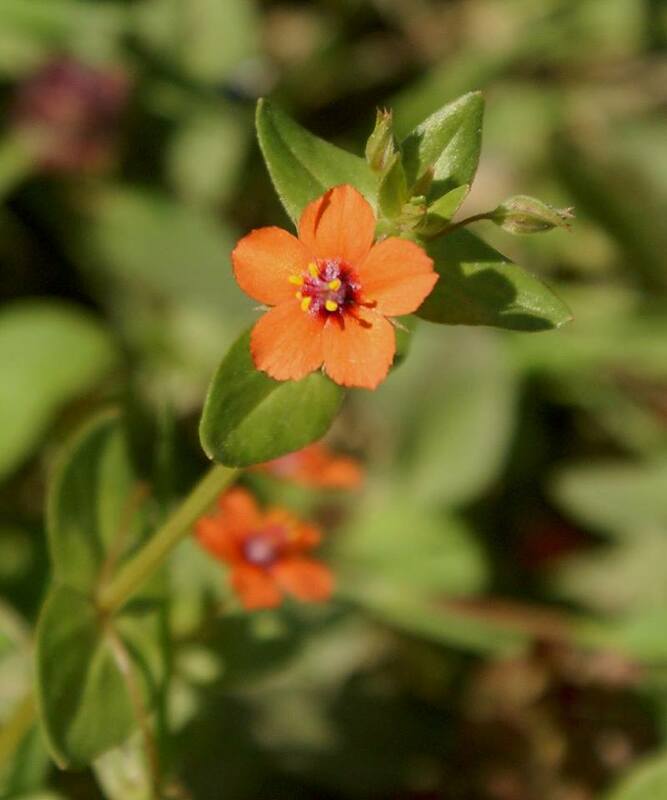 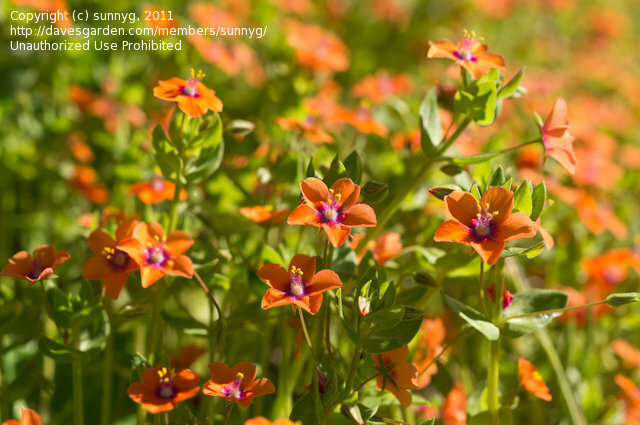 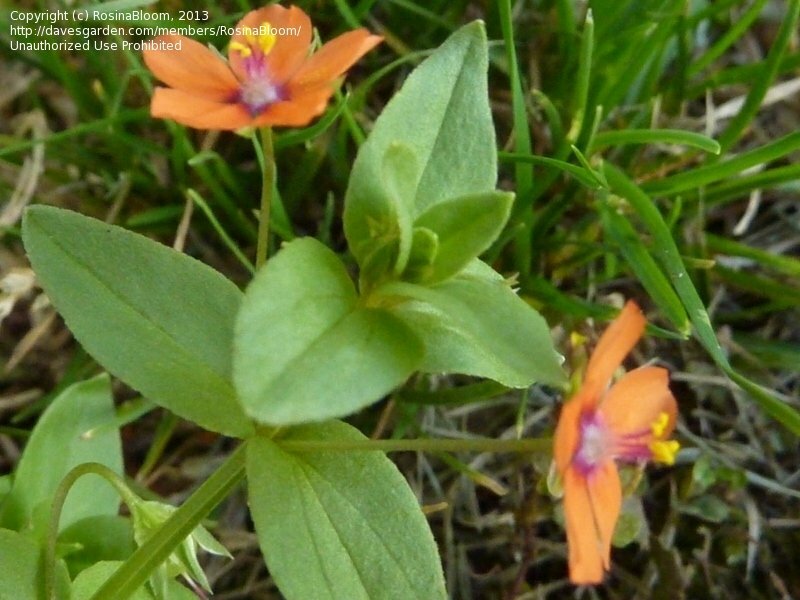 Scarlet Pimpernel, Pimpernel, Adders Eyes seed capsule ... Photo (cropped and enlarged) courtesy of Forest & Kim Starr. 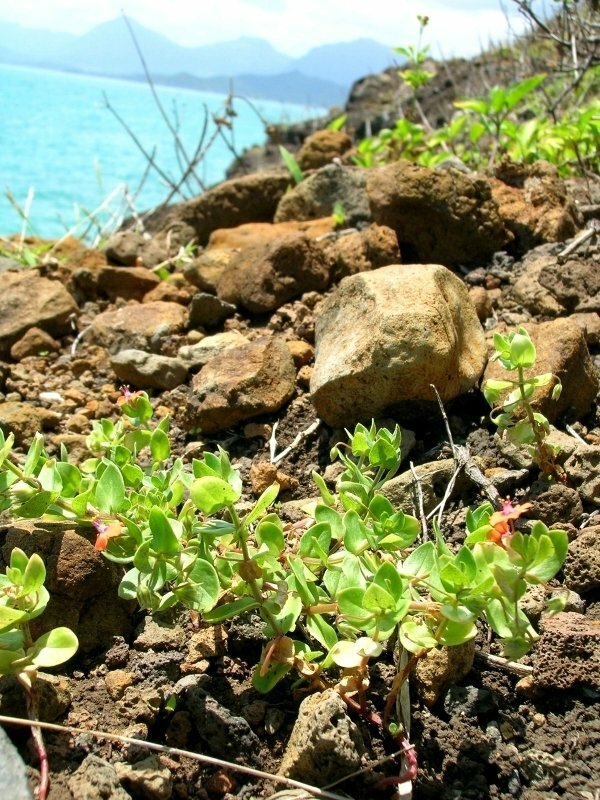 Auwahi, Maui, Hawaii. 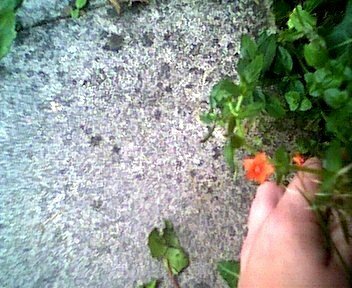 February 22, 2003.